Please list the initials desired, and indicate which (if any) is Mom's and which is/are baby's initials. The baby initials will have baby feet stamped on the disc as well. Up to 6 initials. Please convo me if you'd like price quote for more than 6. Give a precious personalized gift to the mother in your life. Includes her first initial and the first initials with baby feet for the children she loves. This listing is for one 14k SOLID Yellow Gold mother's necklace, which includes TWO hand stamped discs (one mother's initial, one child's initial OR choose two child discs) attached to a 1.5mm wide 14k solid Gold Rolo chain. Listing is for TWO hand stamped discs. 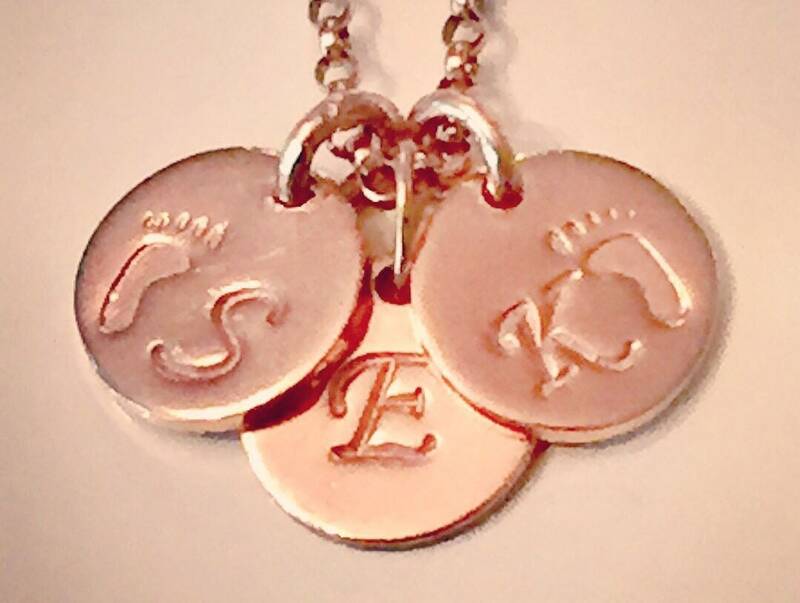 So you can start with Mom's initial and the initial of the first baby OR choose two baby feet / initial discs. Each additional gold disc is $25.00. I chose the Rolo chain for its strength while still looking delicate. 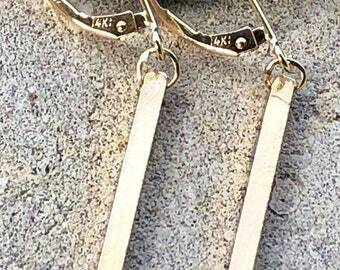 Choose your chain length of 16" ($375.00), 18" ($395.00), 20” ($415.00) or even 24” (435.00) at checkout. Please allow 7 business days before this ships, as we want to make sure it is perfect before going out the door. Of course, the BeAMaGiKLaMP "G" symbol for "shine your light" is attached as our hallmark of fine quality hand crafted jewelry.